I work as a law enforcement officer in the County of San Diego. I have enjoyed racing all my life and most recently got into off-road racing. 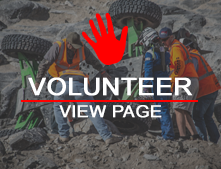 I went to the Baja 1000 to help pit for a buddy and got totally hooked on desert off-road racing. At just about that time my buddy John purchased a 4800 car and was looking for someone to co-drive with him. After getting the permission slip signed by the wife, it was game on for Team Code 3 Offroad.